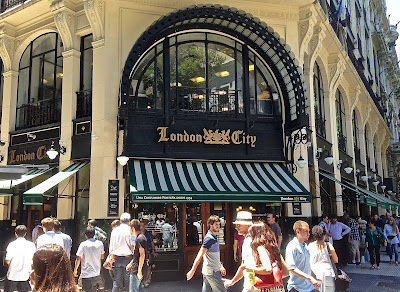 The London City cafe is a landmark of Buenos Aires's downtown financial district. According to a recent survey, Argentines are the most proficient English speakers in Latin America. That said, Argentines have an ambivalent attitude toward the English and their language that started, probably, with the British invasions of Buenos Aires in the early 19th century. After independence, the commercial influence of the British became pronounced—the Argentine capital’s financial district is called “La City”—recalling the City of London—and major infrastructure still bears a British stamp. Trains, such as the Subte (Underground) move on the left, and signs remind passengers to keep left (in Spanish, however). Signs on the Buenos Aires subway remind passengers to keep left. There are many landmarks associated with the British, most notably the Anglo-Argentine community’s Torre Monumental (renamed from the Torre de los Ingleses after the Falklands War of 1982). 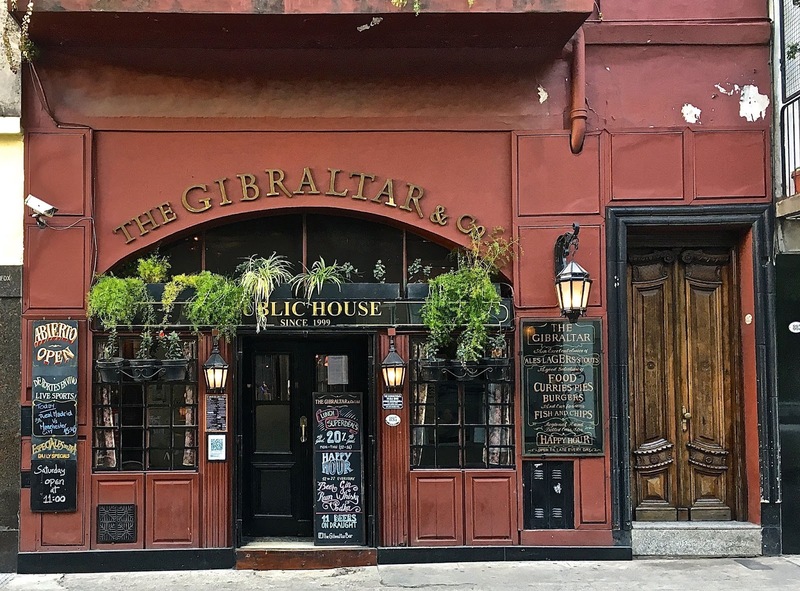 There are lesser commercial locales, such as San Telmo’s Gibraltar Pub and Retiro’s Tabaquería Inglesa, but today I’d like to focus on something different—the sometimes quirky English of Buenos Aires (and elsewhere in Argentina). 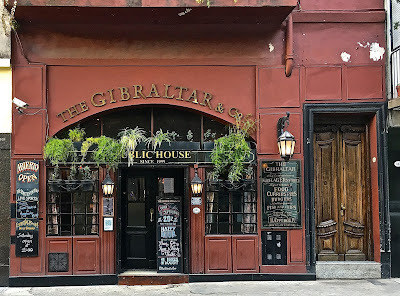 San Telmo's Gibraltar pub is bilingually Anglophile. In California, where I live permanently (though I also own an apartment in Buenos Aires), we often see what I like to call “real estate Spanish,” residential complexes with Spanish names of dubious authenticity—despite the state’s Hispanic tradition. One of my favorites is the Berkeley Hills street name “Lomas Cantadas,” which I can only presume is a mutilated translation of lomas encantadas, which would mean “enchanted hills” (as written, the actual name would mean "sung hills," which obviously makes no sense). The name of this Recoleta clothing store suggests the British origins on Argentine English. In that context, I’d like to offer, anecdotally, some of the most amusing Anglicisms I’ve found in Buenos Aires. 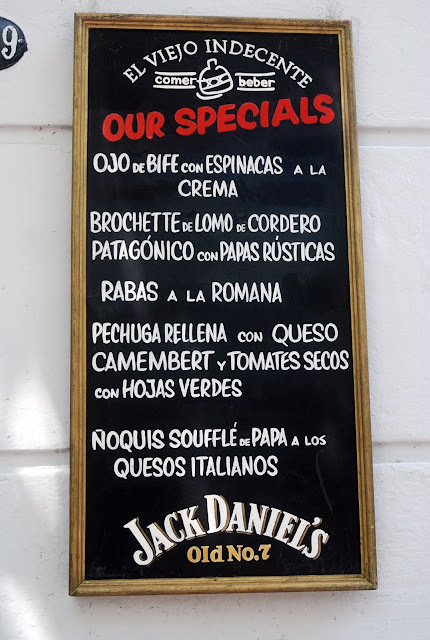 It’s worth adding that, though British English is the default option for students in Argentina, some of the more commercial phrases may correspond more closely to US English—perhaps acquired from Miami, where many prosperous Argentines take shopping trips. 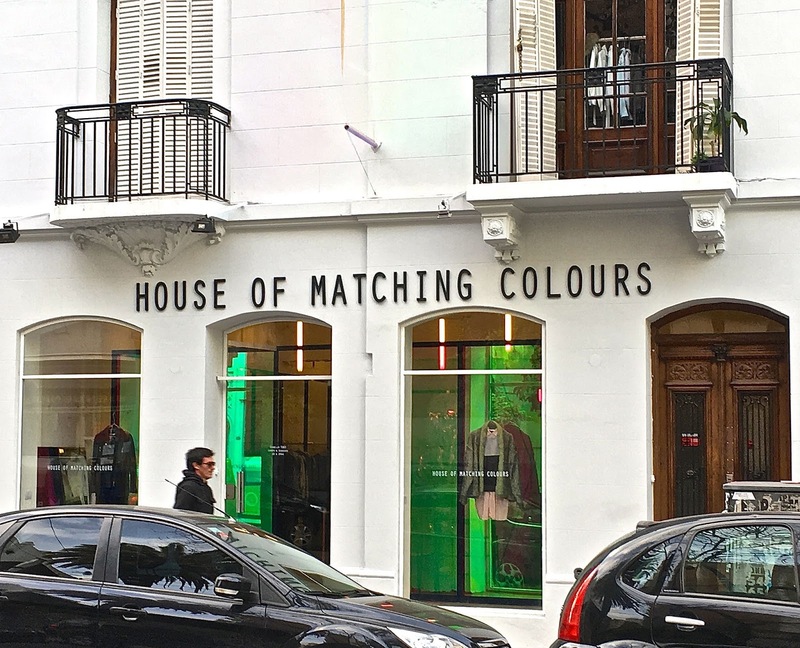 In trendy Buenos Aires boroughs such as Palermo (where our apartment is), English apparently lends your business a certain cachet. At least the operators of this lingerie shop appear to think it’s better than ofertas de verano. 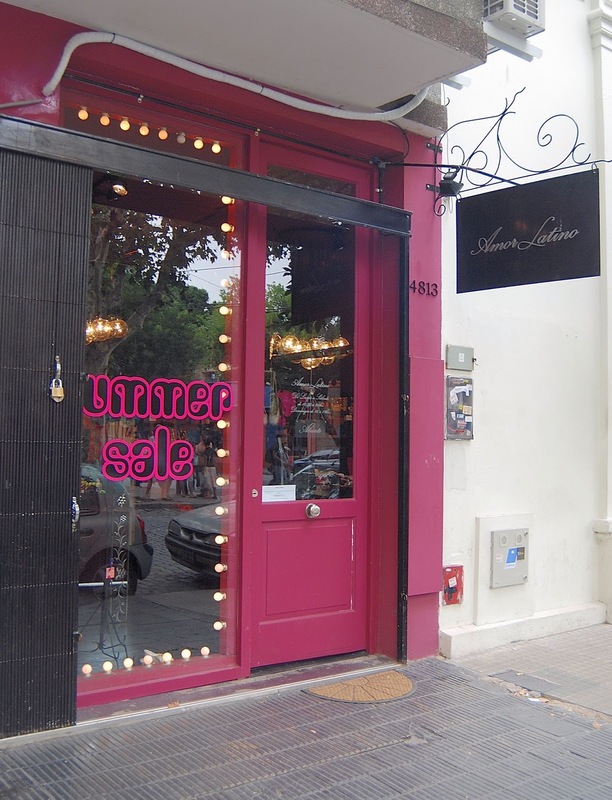 This Palermo lingerie outlet lets you know their wares are suitable for the season. 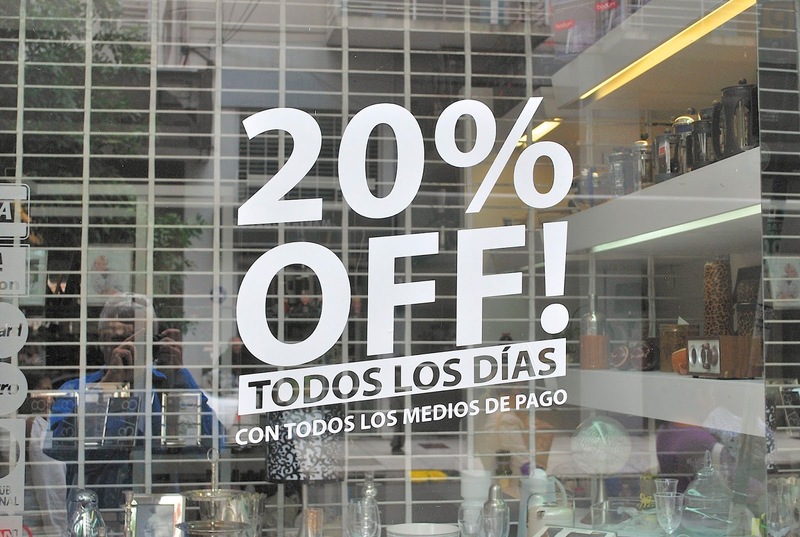 In our own Palermo neighborhood, this household goods retailer forgoes descuento del 20 por ciento in favor of its English equivalent—a phrase that’s a common sight around town. 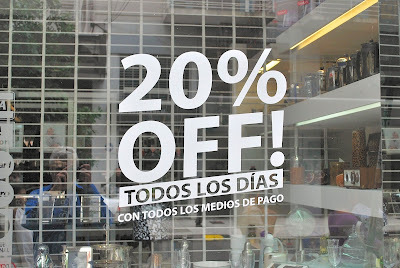 Unusually, this particular shop provides discounts for credit card purchases, even though Argentina remains a cash economy, but apparently does not feel confident enough in its customers to provide that information in English. 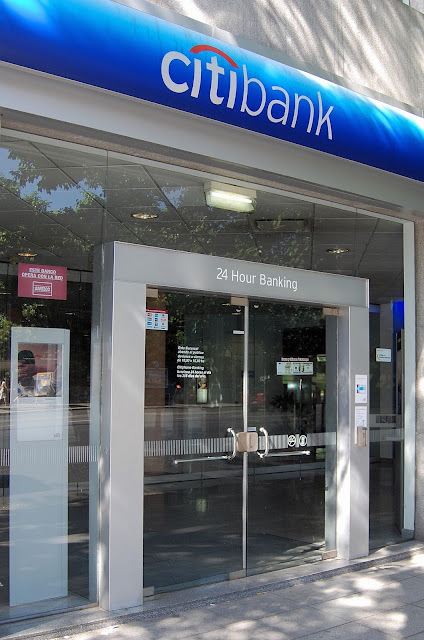 Though no longer in Buenos Aires, Citibank was a US company. If you prefer to pay in cash, though, you can still take advantage of 24-hour banking. This Palermo grill will bring the barbecue to your house or hotel. 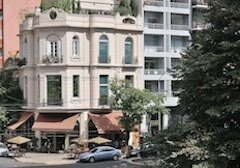 Many Buenos Aires restaurants, even some high-end places, will prepare your dinner and bring it to your home or hotel. 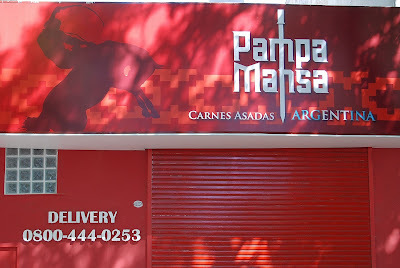 There’s a perfectly good Spanish-language phrase for this, reparto a domicilio, but “delivery” is now almost universal—even in the provinces. Whether they’ll provide a cooler bag, though, is questionable. 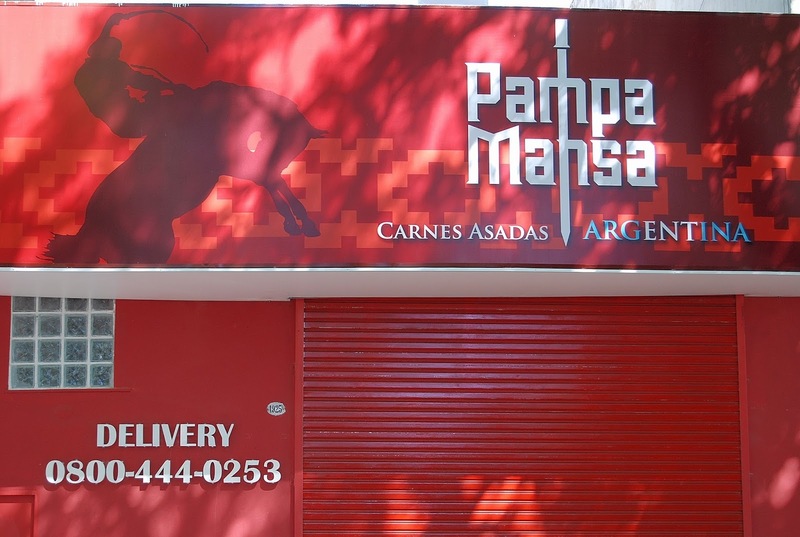 This Palermo restaurant serves a diversity of lunchtime dishes. Platos del día would be the Spanish equivalent but, considering that all the dishes here are in Spanish, the English phrase appears to be an affectation. 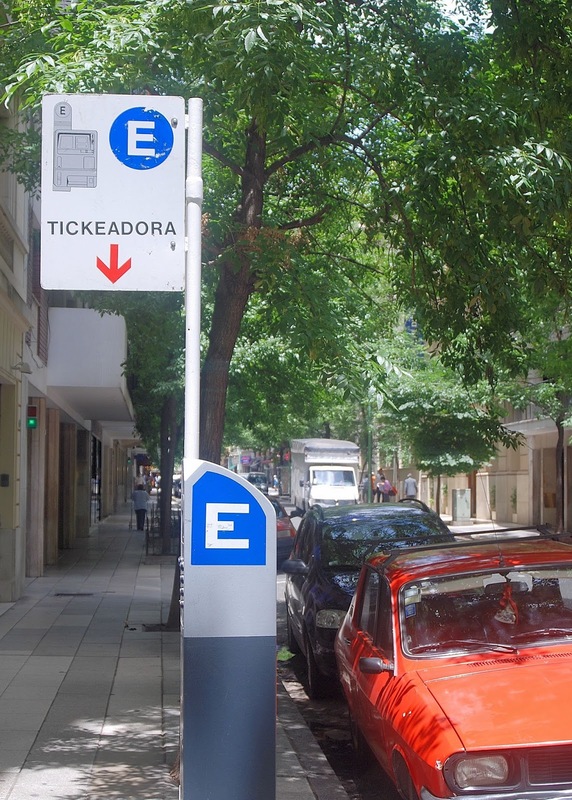 Purchase your parking permission at this streetside vending machine. Spanglish seems less frequent in Argentina than in the US or Mexico, but this parking dispenser is an exception (a parking ticket, by the way, would be a multa).